Do you or someone you know need assistance in getting a psychiatric service animal? It can be daunting to jump through the hoops or even ask for help. In this episode, we sit down with Stephanie L. Taylor to discuss her journey to getting a service animal (even as a mental health clinician herself!) 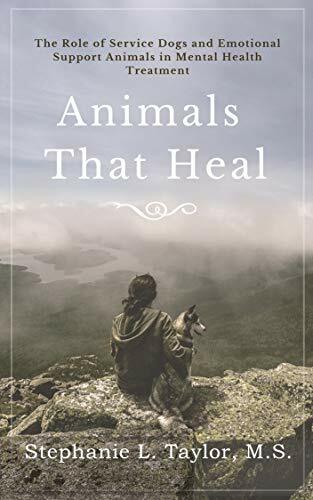 and her new book (Animals That Heal: The Role of Service Dogs and Emotional Support Animals in Mental Health Treatment) aimed at helping others navigate this experience.